At 75 years of age, Valentino, the man who has spent the last 45 years dressing the world’s most beautiful women, has decided to retire. Grand parties and elaborate fashion shows have followed in celebration of the designer who started his career in Paris at the age of 17. 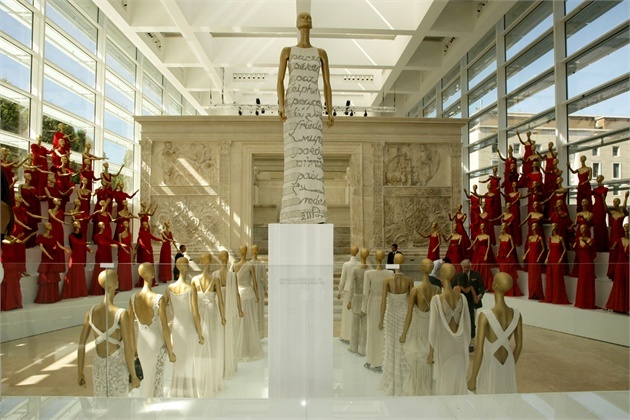 Valentino 45 Years Of Style exhibition @ Ara Pacis in Rome, reported for The Roman Forum Magazine – November 2007 issue. This entry was posted in BEAUTY, DESIGN, FASHION, ITALY, ROME. Bookmark the permalink.